A brand new all-vegan pub is opening its doors in London, and they’ll be serving up tasty dishes such as chip burritos and ‘tofish’ and chips. 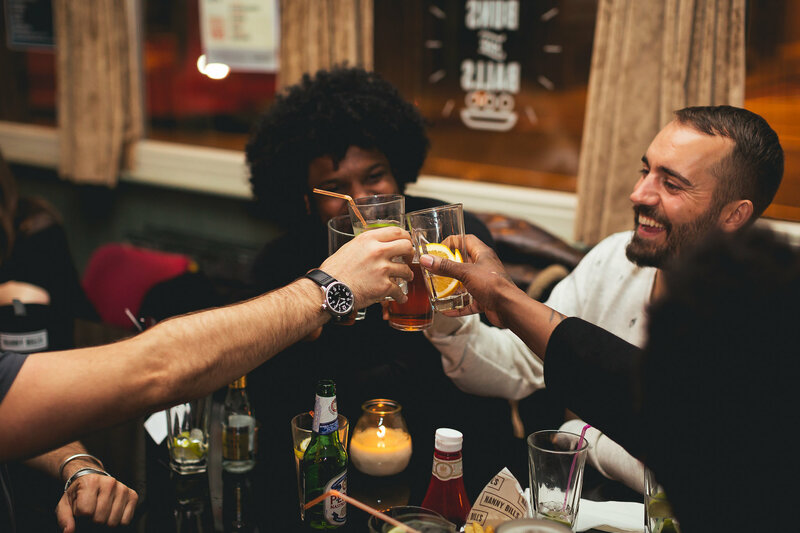 A brand new all-vegan pub is opening its doors in East London on the 11th January. The Spread Eagle is the brainchild of vegan-favourite Club Mexicana restaurant’s owner Meriel Armitage, along with business partners Luke McLaughlin and Sherri-lee Estabrook. Keen to break the stigma that vegan food is bland, boring and salad-based, the pub will be serving up a range of traditional pub-grub such as beer-battered vegan fish and chips, vegan chorizo and chip burritos. “Just because food’s ethical doesn’t mean it can’t be naughty,” she says. Theirs is proper pub grub (the third partner in The Spread Eagle is publican Sherri-lee Estabrook): “scallops” made from king oyster mushrooms and poached in garlic oil; Jackfruit carnitas; vegan chorizo and “cheez” (non-dairy cheese made from soya and coconut oil to mimic fried cheese’s creamy texture) drizzled over nachos; beer-battered “tofish” and chip burritos, where the seafood is tofu wrapped in seaweed wrapped in beer batter, and tastes just like fish. But of course it’s not just the food that’s vegan in The Spread Eagle, there is also vegan beer. Whilst many brewers use egg whites, gelatine or isinglass (made from fish swim bladders) in the clarification process, they’ve chosen beers from breweries that don’t use these methods of clarification. They will also be serving hand selected small batch wines that you would rarely find on a regular pub menu. This exciting news follows just days after another London pub, The Blacksmith & Toffeemaker, announced they were ditching their meat grinder and going vegan.